Melissa had her chance to brag up her man, Mr Knightley; now Allison is throwing down the gauntlet for her man, Capt. Wentworth. Every post proclaiming the greatness of Captain Wentworth begins and ends with The. Letter. Sure, it might not be the only letter written by Austen’s leading men. But, I think I’ll take a proclamation of undying love and affection over a “here-are-the-reasons-I’m-not-quite-as-big-of-a-git-as-you-think-I-am” letter (*cough* Mr. Darcy *cough*), wouldn’t you? He earned all the fortune and acclaim attributed to his name. This shows a large measure of bravery, determination, intelligence and just general worthiness that the others simply don’t have a chance to showcase (assuming they have any of it to begin with). Earning respect versus being born into privilege: we don’t really need to talk any further about which circumstance is preferable, do we? Another great trait The Letter highlights is bravery. Not only is it one of the most romantic declarations of all time, it also shows the courage of Captain Wentworth. While some of Austen’s men (here’s lookin’ at you Mr. Knightly) make you want to beat your head against the wall because they won’t just make their move, Wentworth shows his devotion not once, but twice! After already having been rejected, he isn’t scared to tell Anne that she still owns his heart. Wouldn’t you rather have someone unafraid to tell you his feelings instead of someone who stands on the sidelines afraid to declare himself? 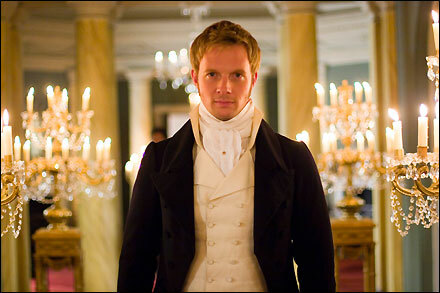 So, there is really hardly room for doubt who the best of Austen’s leading men really is. Tell me that the man who would say such words to you (er…Anne) would not then own your (her!) heart. Love it! Can't wait to read it. While I like Wentworth, my all-time favorite will always be Darcy. Oh Em Squeeeeee! I adore this post! 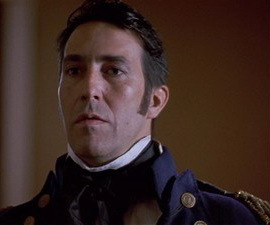 I'm often baffled that Mr. Darcy gets all the love when it is clear that Austen's greatest gentleman is Captain Wentworth! I have been deeply in love with him since high school! I LOVE THE LETTER!